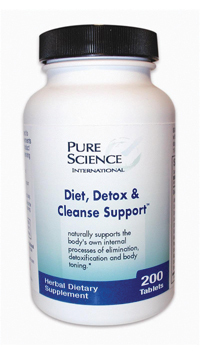 With more than 2 million units sold worldwide, Diet, Detox & Cleanse Support™ is formulated to help the body release toxins from vital organs and internal body systems, support the body to detoxify itself, support weight loss and overall well-being. Diet, Detox & Cleanse Support™ will help your body feel more positive, lighter, better, more energetic and healthier! By cleansing your internal body. It is like giving yourself an “internal tune-up!” Every body part seems to be rejuvenated and working better!